Scott Jennings sold my father in laws property during the summer of 2016 and was recommended to us by my father in law. I'm not usually very keen on recommendations from past bad experience, but we decided to get Scott on board with us. It was the best decision we could have made in buying our first house. It seemed like he never slept, all he wanted to do was get you answers, more information, research what was best for us. He would, out of the blue, email me different home options that we might be interested in, text me just to check in and see what's up, if anything has caught our eye, etc. He was extremely personable, kind, respectful and always went above and beyond the call of duty. We consider Scott to be more of a friend to us now than an agent. We warmed up to him so quickly. It was meant to be! One of the best things about Scott, is that he is HONEST. If he didn't think the house was PERFECT for us, it was out of the question, and the search would begin again. He wouldn't settle for 99.9%. He goes for the full 100%. He isn't afraid to tell you that the house is no good, or you could do better, or let's be patient because something better WILL come up. Now we're coming up on our possession date of our beautiful first new home, and we are so excited about it. All thanks to Scott. You can't go wrong with this guy. He will work and work and work until your satisfaction is guaranteed and then some. When the time comes to sell this one and buy another one, I know exactly who we are going to call. Thank you Scott for all of your hard work. Scott was an excellent agent. He helped us through every step, answered all our questions, and made us feel extremely comfortable with the entire process. Scott truly went above and beyond all our expectations and we will recommend him to everyone who needs a realtor. 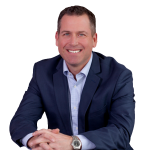 Scott was a great realtor that demonstrated his experience in the Kelowna market to help us reach our goals with the sale of our home. For us, we were needed to get top dollar out of our property in order to relocated in another country. After evaluating recent sales and looking at our property, he suggested a price that was aggressive but realistic. We checked out a similar property that we were competing against in our neighborhood that same morning that was listed at the same price as what he was recommending for ours. The competing property wasn't even comparable to what we had. It had an unfinished basement, a poor layout and evident roof issues. The result was listing $10,000 higher. It seemed to me that the 2 other realtors I interviewed were conservative on the recommended listing price in a very hot market considering all the benefits our property had. Scott was confident to list higher than anyone else because he knew our goals, the assets of our property, what the competition looked like and he knew that there would be interest due to the lack of inventory currently available. Another detail that he took the time to do was measure the square footage. We gained an extra 150 square feet compared to what was listed when we bought 6 years previously. He knows that just a few extra square feet can add thousands of dollars to a property. Additionally, he uses a very talented photographer to take the pictures that ended up making our house great on the MLS. Through the internal network of contacts he had within Remax, we ended up receiving a full price offer 1 day prior to the house being listed on the MLS. Scott explained the benefits of the offer and made us feel confident in our decision to sign the early offer. We were also working around a tenanted suite. He was great at coordinating showings to impact the tenant as little as possible. He knew the tenant rules very well and made sure that the offers were accounting for the legalities related to tenanted properties during a sale. I would recommend this realtor with experience that will ultimately help you reach your goals with the property whether it be a quick sale or selling for maximum value. By far the best Real Estate Agent to work with. Professional, ethical and hardworking. it was a pleasure working with Scott. Our property request was not easy to find in our price range, but with his dedication he found what we were looking for.